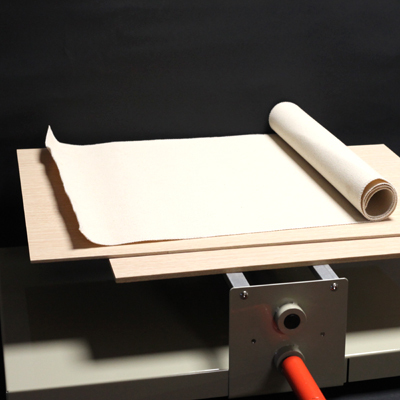 Fabulous tabletop slab roller, with 2 pieces of board of varying thickness. 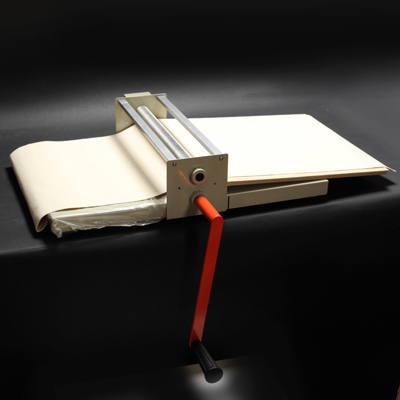 Winding handle and cloth sheet. Table 61cm long by 40.5cm wide. 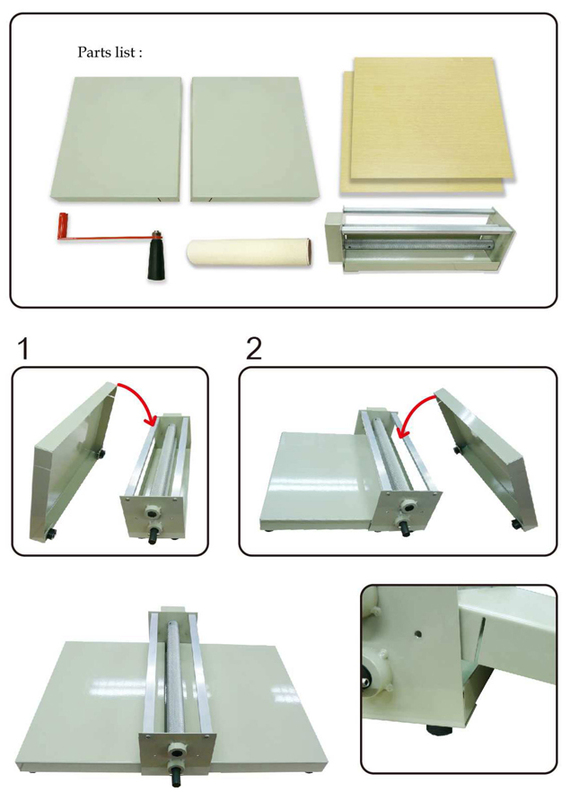 Supplied with 2 plywood boards; 4mm and 6mm thick. 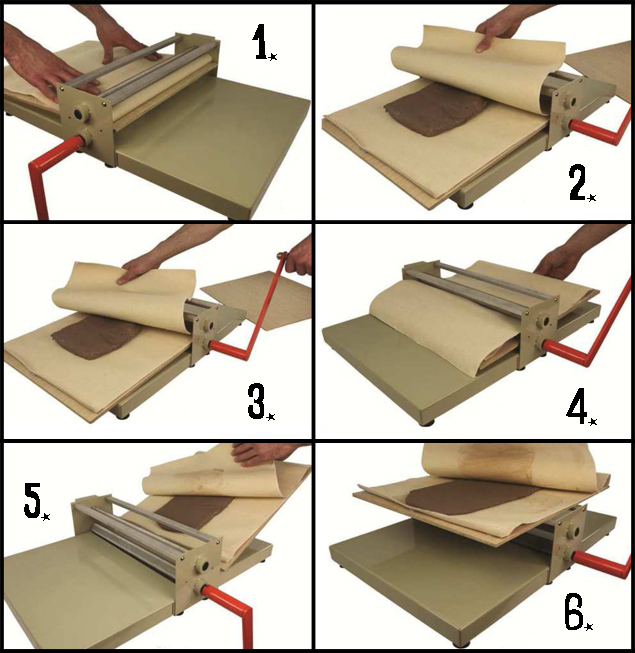 Use with the clay and the supplied cloth to vary the thickness of the slab rolled through the rollers. 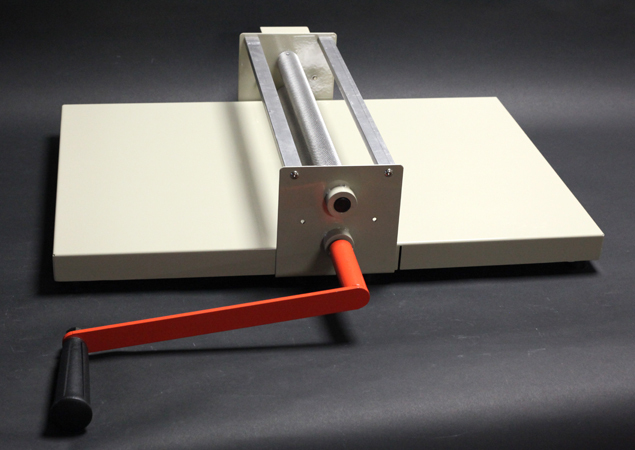 The size of the gap between the 2 rollers is 20mm. Use either no boards and just the cloth, or either of the 2 boards supplied, (4mm or 6mm) or even use the two boards together to get a slab around 10mm thick.